It had been a while since I really sewed something, using both a machine and my hands. But finally, I present you the lovely Ninot jacket, pattern by Pauline Alice. Ta---daaaaa! 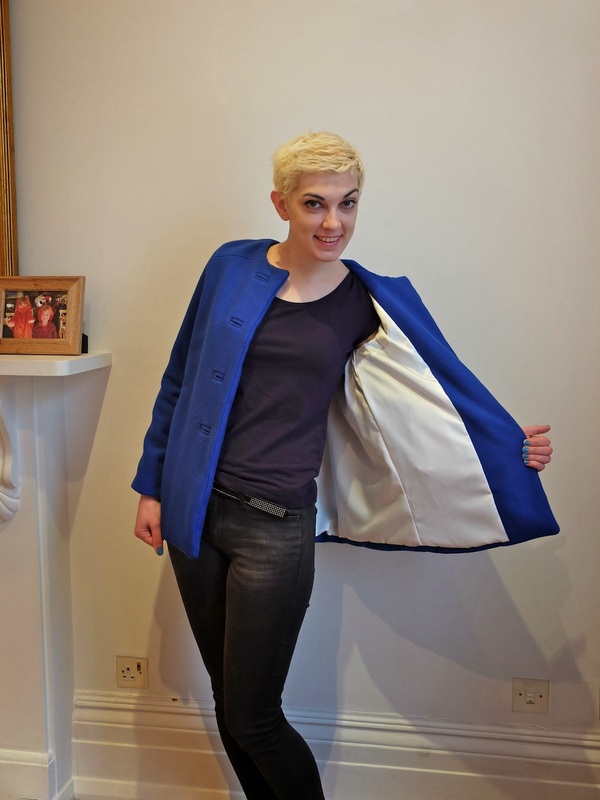 Almost two months ago I was approached my Pauline to become a pattern tester for the jacket. 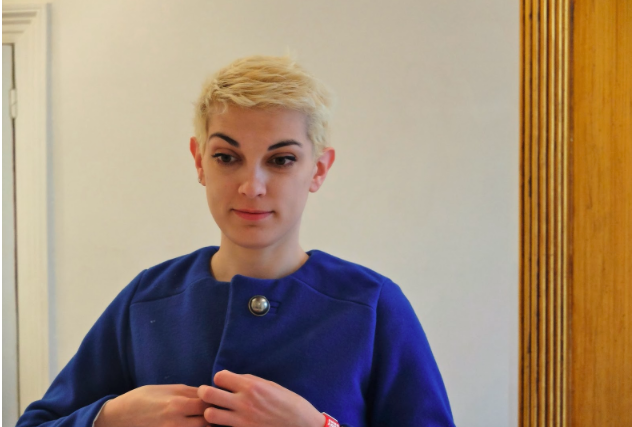 I really like Pauline's creations and was very excited about her new venture: Pauline Alice patterns! So I did not hesitate to accept the offer. I immediately bought a new sewing machine and fabric for the jacket, but then the things with my accommodation started to turn out not so well. This little drama affected my participation in the pattern testing and I missed the deadline. But I really wanted to finish the jacket! I cut a size 38 and lengthened the hem by 10 cm. I also lengthened the sleeved by 3cm, but I should have added 2cm more, because my arms are very long. The step-by-step instructions to the pattern are very easy to follow and contain detailed technical drawings to show how to execute almost every step. For this pattern, Pauline was inspired by '40s and '50s fashion. 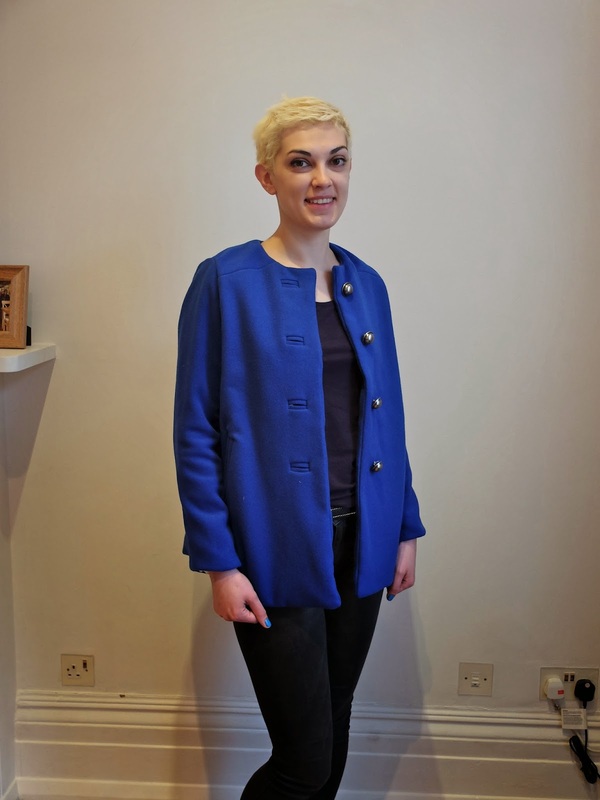 The jacket is fitted to make it more wearable daily, but it contains a back pleat, bound buttonholes and welt pockets to give it a special touch. To be honest with you, I have never worn a coat of this style but I like wearing it and I think it can look pretty flattering on most figure types. The only thing I disliked for this jacket was the fabric. I purchased it on MinervaCrafts and was very disappointed. Unlike the wool cashmere I worked with to make the Andy coat, this wool is very bulky and wrinkles very easily. If I make the Ninot jacket again, I would use a fabric which drapes better and is thinner than this one. Since I cannot help using some couture techniques even for my everyday clothes, the making of this jacket took me a week, instead of the planned two days. Although I did not use a lot of techniques for this coat, I decided to go with a few. The jacket is fully underlined with silk organza; I followed the instructions from Couture Sewing Techniques for the welts and bound buttonholes. When I wanted to have a photo shoot outdoors, the rain would not stop. 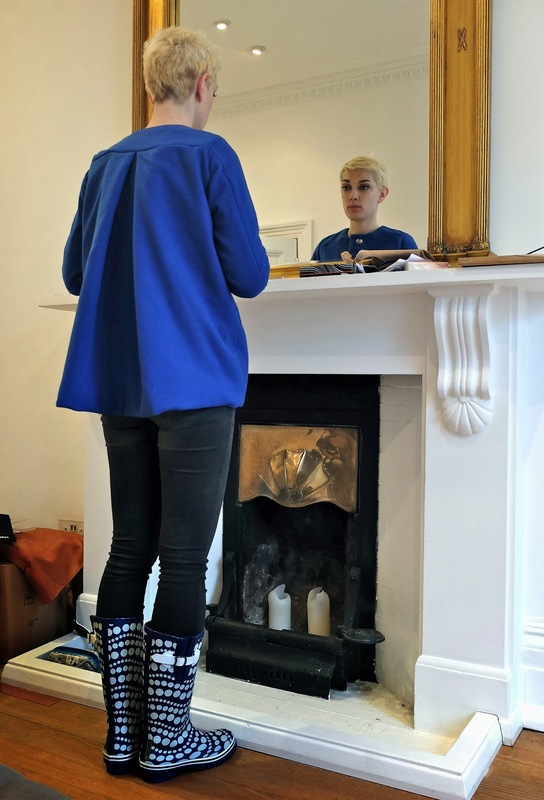 But staying at home did not stop me from trying on my new Wellington boots. They match the colour of my new jacket! My overall impression from the pattern was positive in terms of both quality of the garment and the instruction. I wish I had finished it earlier! This is really cute! This style looks so sweet paired with your short hair-- you look like you stepped out of the '60's! I've been wanting to make this jacket! Actually, it's on my list of me-makes this year. I think it would pair so well with Pauline's Malvarosa dress. Your version does not disappoint - I love the color! Gorgeous color and I love the back pleat! I love those bound buttonholes! And your fabric is great! I'm so glad you were able to finish the jacket! The royal blue really suits you and the shape as well. You look amazing! Lovely colour! You look great! This is such a cute pattern, isn't it? I was so excited when I saw it released. It's a pity you're not happy with the fabric because the colour is beautiful. It's so great to see you back! I love this colour on you (love your nails btw) and it is a shame that you aren't so keen on the fabric. Good to know though as this is on my list of things to sew so I'll be careful about the fabric. I really do think that the shape is very flattering! Now I am curious to see your version! One week having that I do not work at the moment! It does feel like at home, although it's only a three-months accommodation. It feels good to know that you don't have to carry your little bag with you all around the city. Pauline is such a great pattern designer! I can't wait to see her next pattern! Thank you, dear Melanie! Blue is my least favorite colour but I decided to give it a try and I also like it! And, yes, it feels so good to have a place for sewing, even though we have to buy a table and chairs. I'm hoping to pair it with Ralph Pink's Maxi dress. Another make that I love of yours! Beautiful colour! It's a shame the fabric doesn't behave as expected, but still it's a really nice jacket. Sewing with leather: first attempt.